In the middle of trying to stay on schedule with my writing (I would blush to tell you how far behind I am!) and deal with my day job and everything else this adventure called real life entails, I’ve been thinking about what I would like to do with my free time, if I ever had any. Of course I have a TBR ("to be read") stack that’s bigger than the contents of my local library. And I have a TBS (“to be sewn”) pile that my whole quilt guild couldn’t finish in less than a year. 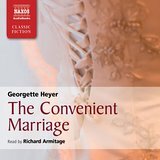 But if I just had a week or two to power down and do nothing but loll (and LOL), I would spend it with Georgette Heyer’s Regency romances. I’m not that into contemporary romance, but if there were such a thing as period chick lit, this would be it. 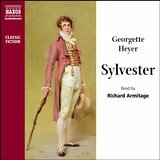 As a historical mystery writer, I’ve really, really wanted to get into Heyer’s detective stories, but for some reason I’ve never managed to finish one. But her Regencies are the absolute best. They’re one-hundred-percent clean and one-hundred-percent delightful to read. 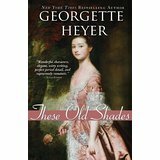 And, since I want to go on and on and on when I find an author or series I love, it delights me to know there are a LOT of Heyer Regencies to choose from. And do you want to know the best part? 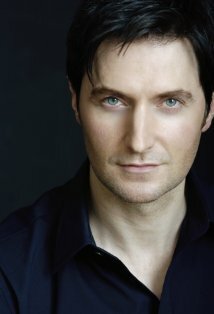 Three of them have been made into audiobooks featuring the spine-melting voice of Richard “North and South” Armitage. He doesn’t just read the books, he performs them. And if you aren’t left a little breathless when he reads the heroes at last baring their hearts to their lady loves, you’re doing it wrong. 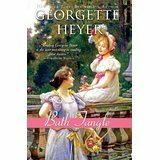 So if you have time for reading or listening to stories that will make you sigh, swoon and laugh out loud, give Georgette Heyer a try. Then let me know what you think. An just because I can . . . more Richard Armitage. So what do you read for pure pleasure? and thanks for the RA break. I needed that! 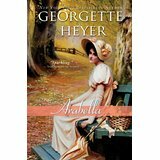 Peeps keep recommending Georgette Heyer and I keep meaning to read her, but it never seems to happen. Thanks for the info about her audiobooks. I used to listen to them while I went walking but then stopped. Must start up again. I definitely have the advantage of my commute - without audiobooks, I'd be woefully 'under-read'. I've known about the RA narration, but haven't thought to search my library system. I'll fix that! Yes! 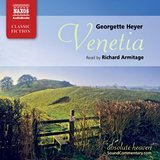 Anita and Deb, do try RA's Heyer audiobooks.